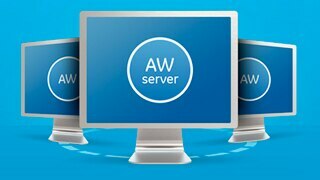 The AW Server adds speed, efficiency, and diagnostic flexibility to your workflow. Its applications portfolio helps boost your diagnostic confidence as you analyze and evaluate exams from angiography to X-ray and almost everything in between. With easy to use, intuitive interfaces and reporting flexibility, the AW Server streamlines your workflow and helps make your entire department more productive. Today's enterprise solution cannot just include the product. Solutions need to be thought as a whole and how they integrate with the overall environment. The experienced, knowledgeable GE Healthcare AW Installation team understands the specific demands that imaging data management entails. They'll work together with your IT professionals to ensure a smooth integration of the AW Server into the hospital environment and make it available to you as quickly and efficiently as possible. Full site assessment to determine hardware and software requirements. Dedicated project manager to serve as your single point of contact. IT network engineer dedicated to your integration project. Training includes E-learning and Dedicated Teaching programs. The AW Server is a portal to a portfolio of robust, easy-to-use clinical applications to streamline image post-processing and synergize the major imaging modalities: CT, MR, PET, SPECT, and Interventional. 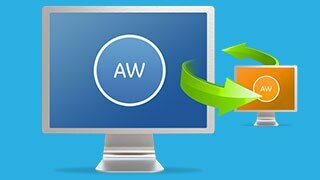 The AW Server converts virtually any PC, laptop, or PACS desktop into a 2D, 3D, and 4D post-processing workstation. The system lets you remotely review and share images in real time, enabling collaboration with internal clinicians and referring physicians. 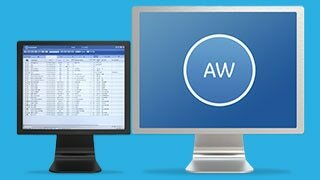 The AW Server helps build seamless clinical workflows that can reduce unnecessary and repetitive tasks, facilitating greater efficiency to your department. Early discussion of your IT department involvement in the project to avoid future challenges. Keeping your IT department up-to-date on equipment delivery and installation schedule. GE defines a single point of contact to facilitate communication throughout the entire project. GE coordinates the hardware installation. GE coordinates software and network configuration. Change management is overseen by experienced GE IT professionals to avoid adding another project to your IT department's to-do list. Install multiple clients to access applications on the server based on your request. 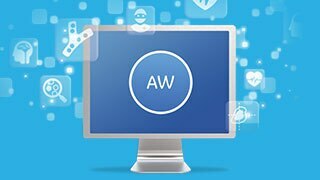 GE trains you and your staff in system operation & applications to ensure that you are able to use the AW Server system to its maximum capability. E-learning and Distributed Teaching are used to enhance the overall learning experience. 1. Some additional catalogs items may be required for onsite network support. Any hardware changes recommended by the network team are a responsibility of the customer. As part of the Pre install step, GE will meet with you and your IT department staff to determine basic infrastructure, network, PC, and security requirements your facility. ‘Site requirement checklist’ available upon request. One desktop for all your multimodality reading needs. Access to your AW Workstation from anywhere.